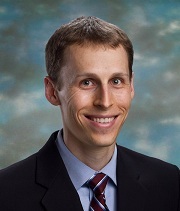 Lee Lockwood is an Assistant Professor of Economics at the University of Virginia Department of Economics and a Faculty Research Fellow at the National Bureau of Economic Research (NBER). His main research fields are public finance and labor economics, with a special interest in the effects of government social insurance programs on behavior and welfare. Professor Lockwood holds a PhD in economics from the University of Chicago, an MSc in economics from the London School of Economics, and a BS in industrial engineering and economics from Northwestern University. He was previously an assistant professor of economics at Northwestern and a postdoctoral fellow in health and aging at the NBER. American Economic Review, 109(4): 1461-1485. American Economic Review, 108(9): 2513-2550. American Economic Review, 108(8): 2174-2211.
Review of Economic Dynamics, 15(2): 226-243. Perspective piece on “One size fits all? Drawdown structures in Australia and The Netherlands,” by Jennifer Alonso García and Michael Sherris. The Journal of the Economics of Ageing, 2018.